Google Analytics is FREE to set up, in order to track visitors to your website. We do have a paid for service where we can set this up for you, but if you feel like giving it a go for free, here is a useful guide we have created. You can sign up with your existing Google account or if you don't yet have one, click on ‘Create an Account’ in the upper right corner. 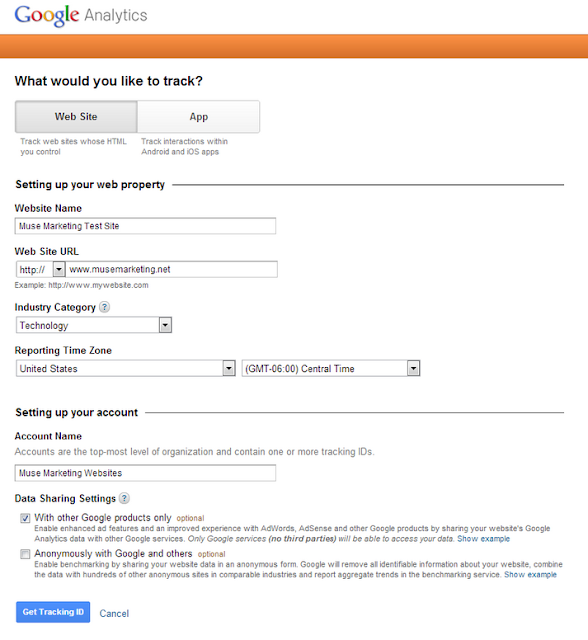 Once you’ve signed up for a new account (if you need it), come back to http://www.google.com/analytics and click “Access Google Analytics” if you’re not already redirected to the setup screen. Website Name: You can simply use your URL if you wish or your company name. Website URL: Just type in your website address! 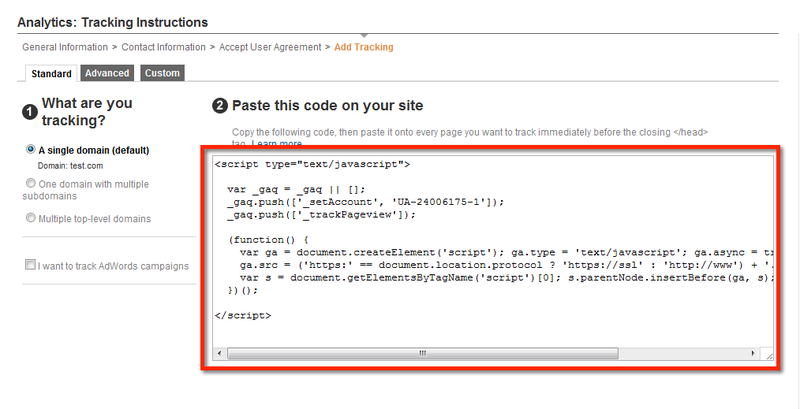 Industry: this one is optional but will let Google Analytics tailor some suggestions for your account for you. Pick your time zone: This is key for making sure that Google Analytics accurately shows it's statistics that are to do with times of the day etc. For Account Name: Feel free to use your company name. You can have/monitor multiple websites in one Analytics Account, so make sure this name will be appropriate if you plan on adding multiple websites. Data Sharing Settings: completely optional. Select and deselect as you feel comfortable. Click the blue Get Tracking ID button, agree to the pop-up Terms of Service (after reading fully of course) and you’re all set! Send the code to your web designer / or if you're a client of ours there is a section in the Toolkit where you can paste the code and save!